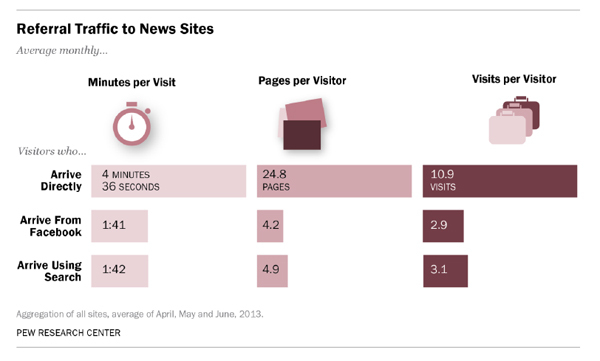 Visitors who arrived directly to news sites spent more time looking at more pages compared to those from search or social. 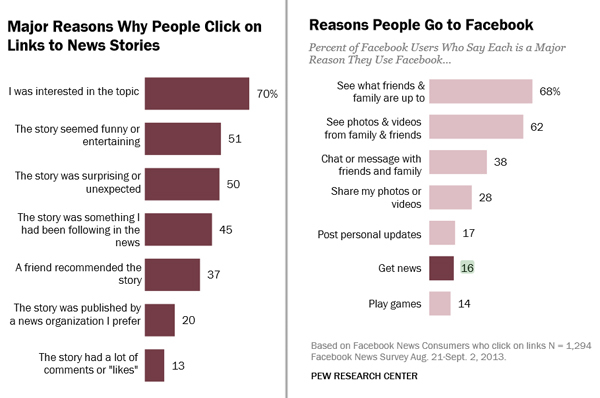 According to a new report from Pew Research Center, “Social, Search and Direct: Pathways to Digital News,” a visitor to a news site who was referred through Facebook is much less valuable than a direct visitor. 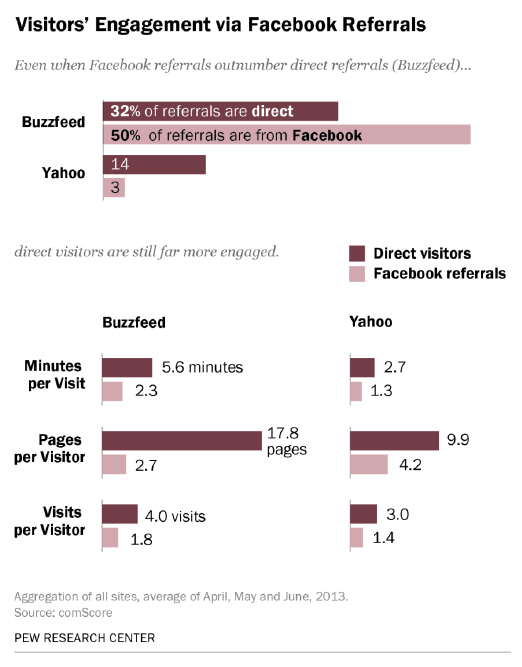 Even visitors who came through search lagged far behind in engagement and time spent on the site compared to direct visitors (those who typed in the URL or had the site bookmarked). The demographics of a site’s visitors are determined by the site itself rather than how its visitors arrive there. 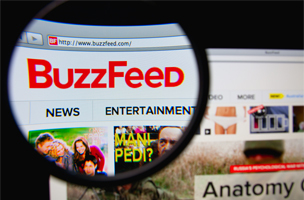 BuzzFeed had the largest share of 18- to 24-year-olds referred from Facebook: 31 percent. But 28 percent of its overall audience is 18-24 years old.